We provide assistance to clients living in residential care homes to help them easily complete their daily tasks. Residential care homes are known by different names depending on where you live. In some areas, they are called adult family homes while in other areas, they may be referred to as personal care homes, adult foster homes, group homes, or board and care homes. Typically, they all have the same things in common: they provide care for seniors in a homelike setting that’s very much like a family. This type of setting is excellent for residents who do not want to live in a larger community setting but still require a level of assistance similar to that offered by an Assisted Living or a Nursing Home. The staff in a residential care home may assist with medications, help residents bathe, get dressed, and perform many other daily tasks or activities of daily living. 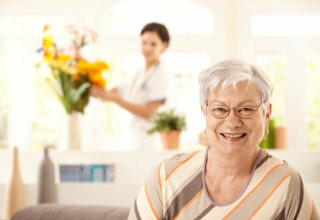 Because of the homes’ intimate settings, owners can often specialize in particular resident needs such as diabetes care, memory care, residents with special diets, residents who speak a particular language (Japanese or Spanish for example), residents of a particular religion or cultural background, as well as other needs. Rates are usually charged per month. The monthly charge typically includes: three meals per day, utilities, housekeeping, laundry services, activities, and possibly transportation. Care level charges will be determined after the resident’s needs have been assessed by the owner or operator. Price Range: $3000 to $7000 per month depending on the services and level of care provided and whether or not it is a shared/private room.